Caroli and Laubscher retains their 1/12th titles for 2018 The 2018 season of the South African On-Road Electric National Championship for the 1/12th class is complete and Team Xray SA managed to crown 2 x SA National Champions. 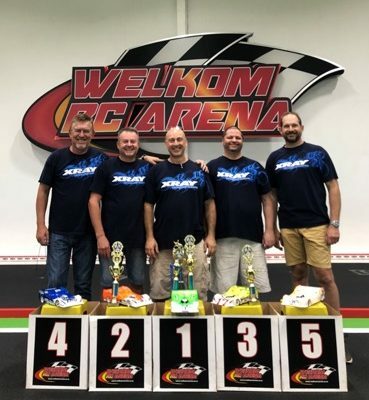 Kotze and De Gouveia retain their SA Titles The 2018 season of the South African On-Road Electric National Championship is complete and Hein Kotze (Awesomatix) (TC Mod) and Pedro de Gouveia (Xray) (F1) managed to retain their national titles. The first round of the 2018 South-African ORE 1/12th national championship series was held at the Welkom RC Arena on Saturday 17 March 2018. All drivers arrived Friday for some practise and setup runs.